Three lovely ladies are ready for race day with their Kentucky Derby Hats and mint juleps. 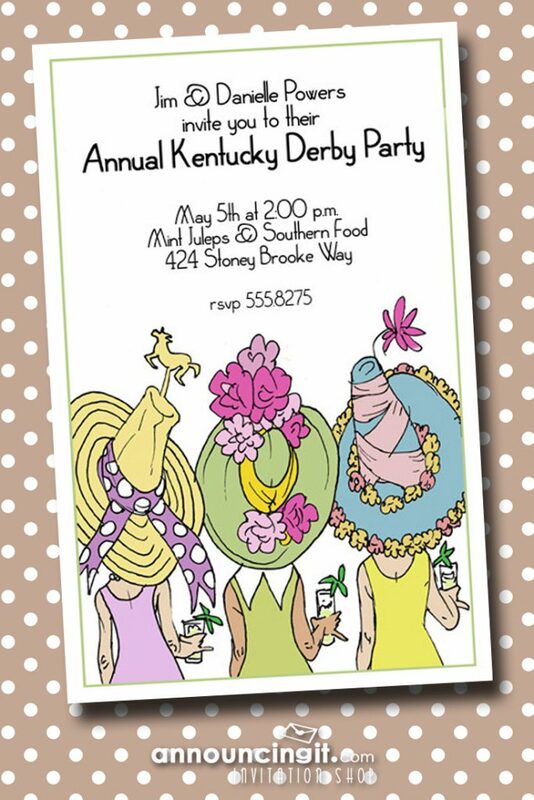 Perfect for a Kentucky Derby Party Invitations, southern charm invitations, derby themed bridal shower invitations and more. 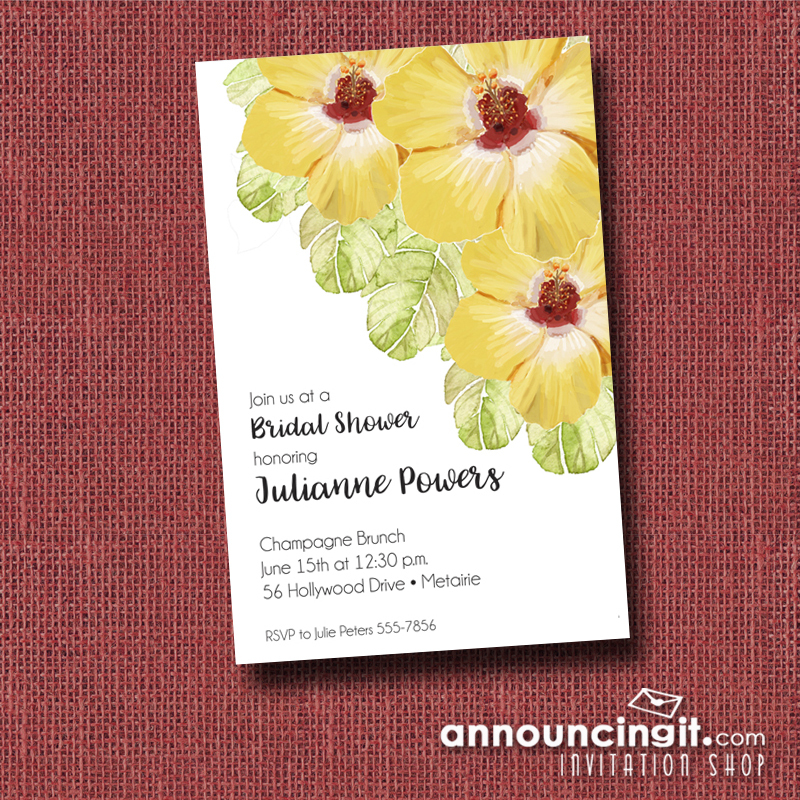 Large yellow hibiscus flowers and tropical leaves make lovely floral invitations for birthday party invitations, bridal shower invitations, wedding anniversary invitations, rehearsal party invitations and more. Just change the wording to fit your own special occasion. 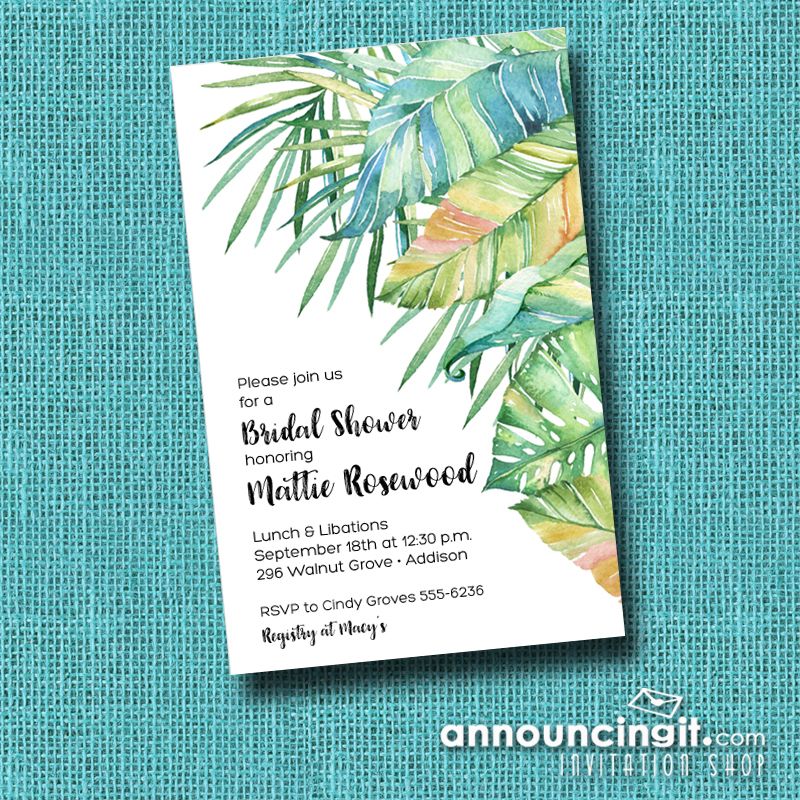 Beautiful watercolor tropical leaves and ferns accent these party invitations – perfect for bridal shower invitations, birthday invitations, luau invitations and more. You can use the wording and fonts shown on our example or use your own for your special occasion. 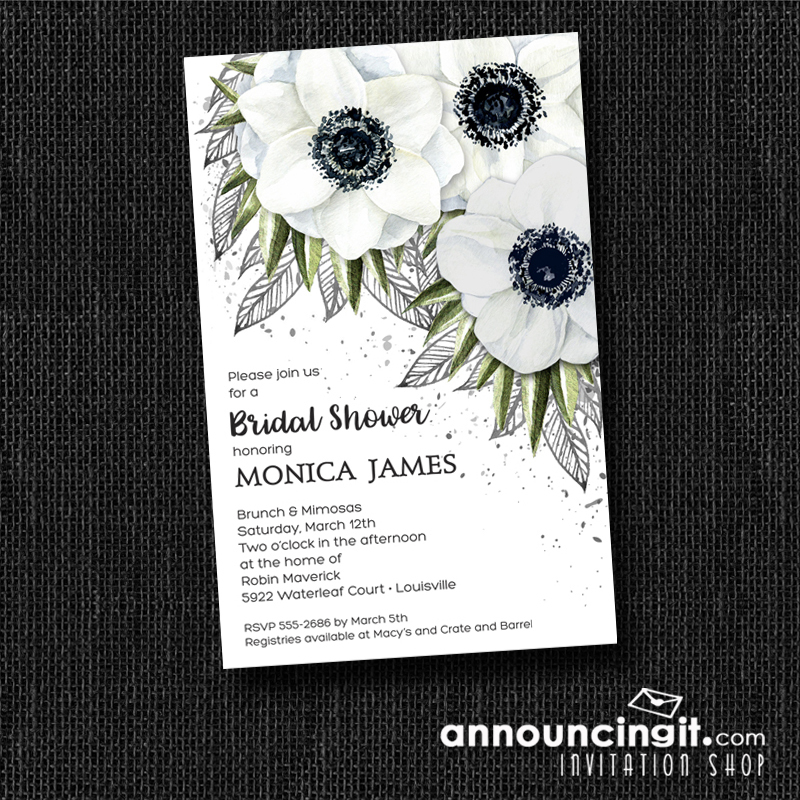 White anemones with their unique dark center make these floral invitations perfect for parties with a black and white theme such as a bridal shower or rehearsal dinner or an elegant birthday party. Just change the wording to fit your special occasion. 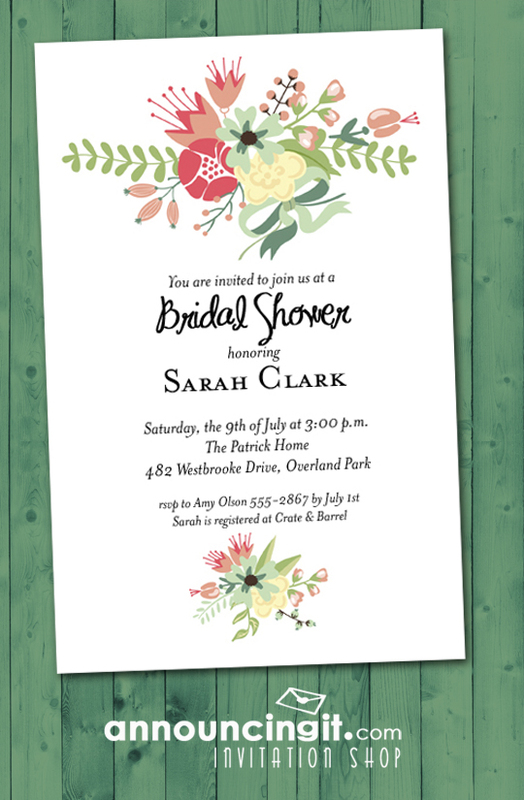 If you’re planning a bridal or wedding shower, our Flower Garden Bridal Shower Invitations are a great invitation for any season, but perfect for a late summer or fall celebration. You can change the wording on this invitation to fit your own special occasion – a birthday, anniversary, the choice is yours. Can you Have a Bridal Shower if you Plan to Elope? So, in the true sense of the word, if you are running off to secretly get married, it would not be proper to have any type of shower before doing so. For clarification, we’re only discussing secret elopements here — not destination weddings — they have their own set of “etiquette rules” to follow. If you elope, a better choice would be to mail friends and family a printed elopement announcement stating you have eloped and include some fun details such as the date and where you were married. It’s nice to add any change of address of where you are now both residing since your marriage. 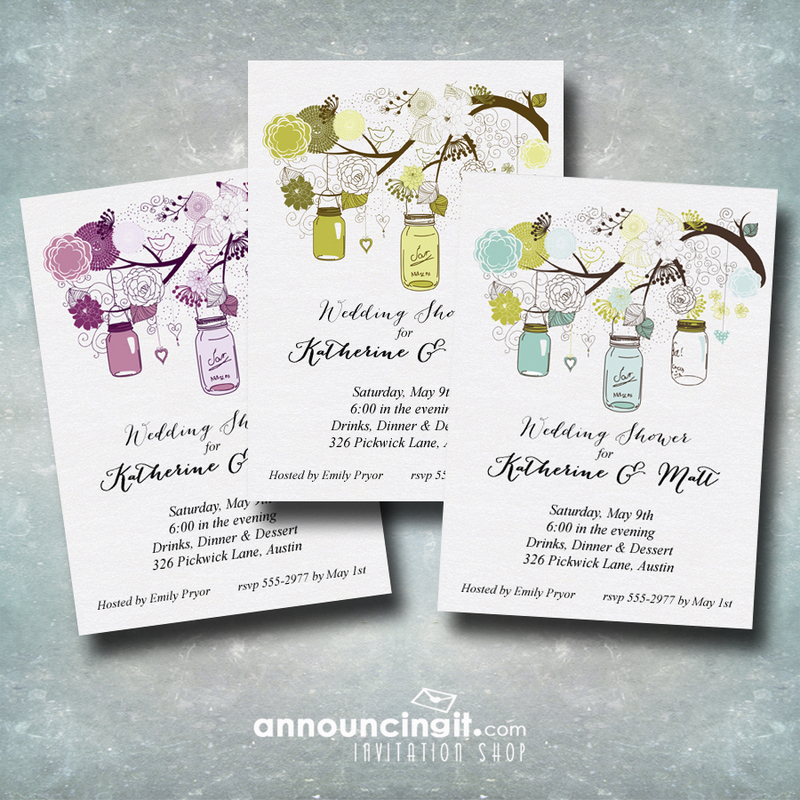 Along with this information, you could invite guests to a reception or party to celebrate your marriage that would be scheduled for some time after you’ve returned. This can be a simple cake and punch affair, a backyard barbecue or a full blown wedding reception, but it doesn’t have to cost a fortune. The idea is to celebrate and mingle with people you care about. But back to the real question — gifts. Will people send you gifts after they receive your announcement or attend a celebration reception after the fact? Honestly, some will and some won’t. So how will people know what to give you or what you need or where you’re registered? Make sure your immediate family or best friend that might be asked, know where you are registered. If people call and ask where you’re registered, they can be told at that time. 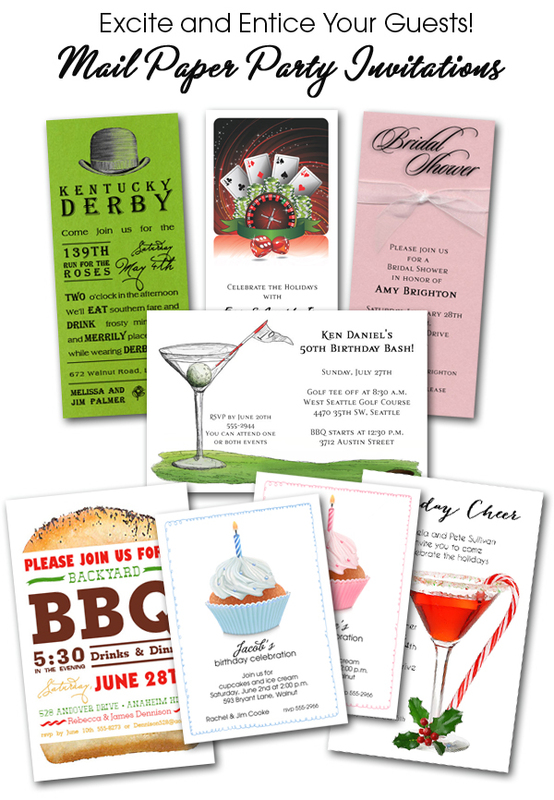 If you mail reception invitations, you can tell people when they reply by phone or by email if they ask. Just as it is not acceptable to include registry information on a printed announcement or invitation, it is also not okay to automatically tell everyone who calls where you’re registered UNLESS they specifically ask you for the information. If you’ve created a wedding website, it is okay to list your registry information there. Mason Jars have become so popular, you can find them used in traditional ways as well as fun and decorative ways. We love them used as cocktail glasses and adore them hanging from flowering tree branches as shown in our Purple, Green or Tiffany Mason Jar Party Invitations printed on Shimmery White Paper and matching envelopes. 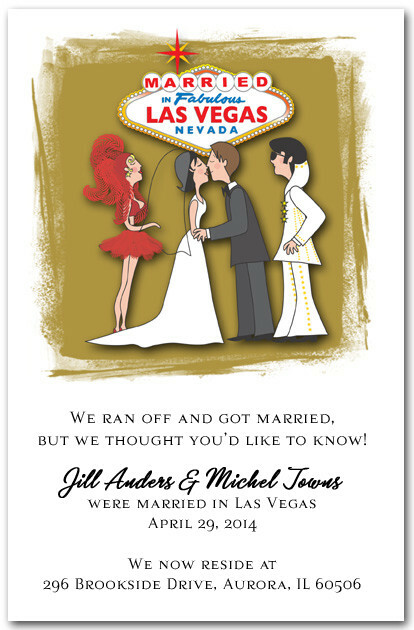 Just change the wording to fit your occasion and your guests will love them! 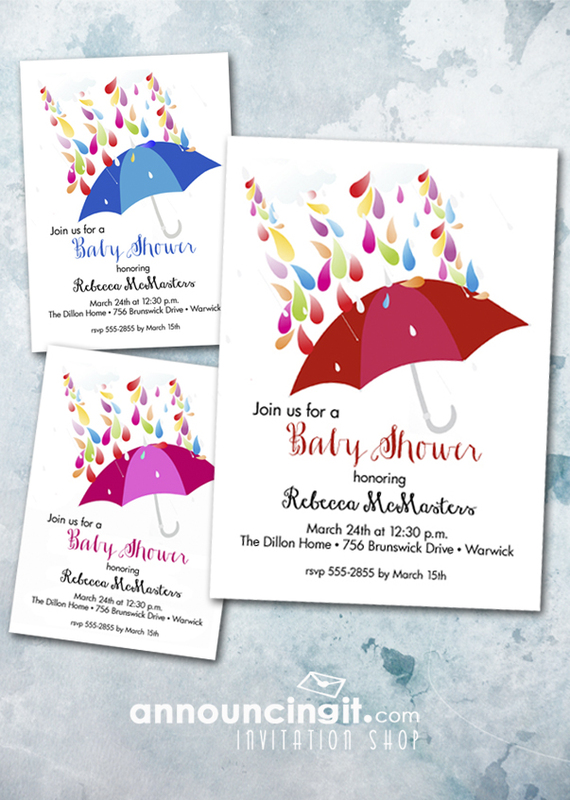 The Raindrops and Umbrellas Shower Invitations are perfect for Baby or Bridal Shower Party Invitations. Choose from a red, pink or blue umbrellas and just change the wording to fit your occasion. Matching thank you notes are available. Cinco de Mayo is more of an American tradition than Mexican. It’s a fabulous time to get friends and family together – just add food. 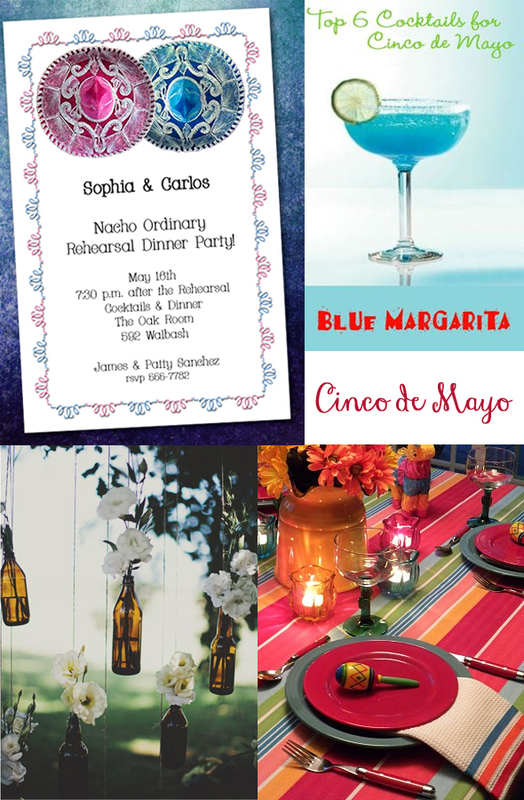 Create your party with colorful tableware and cocktails and don’t forget to mail your guests party invitations if you want a great turnout.